Genitourinary electrophysiological tests are of some interest in the evaluation of the innervation of the pelvic organs, but their indications in the pediatric population are currently limited. 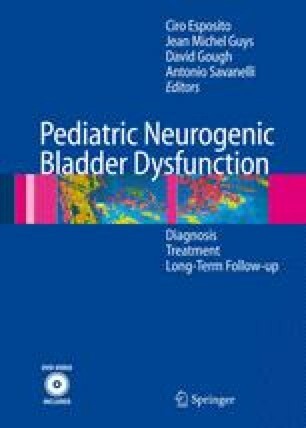 As mentioned previously, the contribution of the somatic nerves to the innervation and the physiology of the lower genitourinary tract is limited compared with that of the autonomic nerves; however, from a technical point of view, the somatic nerves are easily accessible while the evaluation of the autonomic genitourinary pathways is invasive and therefore not well accepted by the patients, which explains why most authors rely exclusively on the testing of the somatic nerves. This might lead to simplistic and erroneous conclusions. For instance, after radical surgery of the pelvis for cancer, patients may have bladder areflexia due to autonomic denervation, while the somatic innervation to the penile skin or the pelvic floor musculature remains intact.